I spent a couple of days in Port Aransas this week, working on a knotty writing problem. 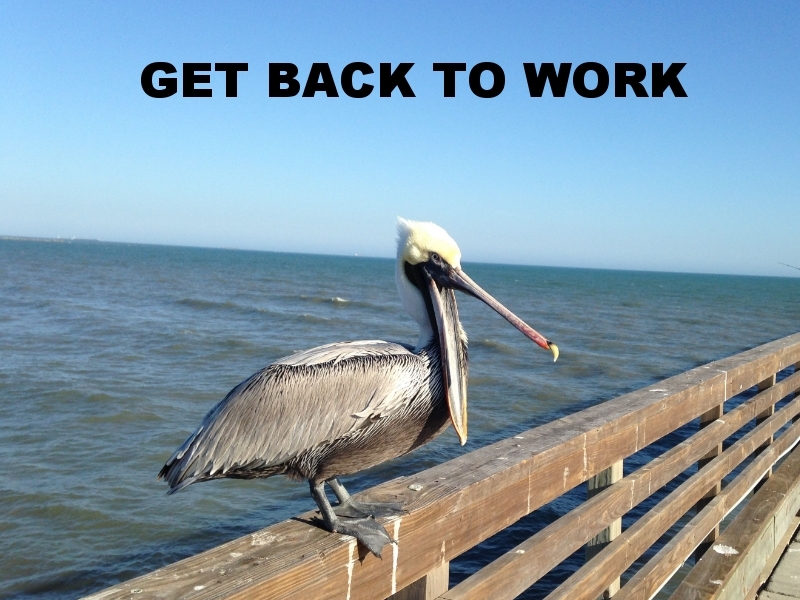 I'd work for a few hours then walk the beach or the pier for an hour or two, which was lovely. I felt so lucky to be able to leave my yellow room and its ANGST and walk along by the pretty silver shallows, and great green-rolling deep, and the busy skimming birds, and behind it all that endless ravishing sea-sound. I've always wanted to find a starfish, ever since I was a wee kid on family vacations at Cocoa Beach. This time I found TWO--but I wasn't quite sure they were dead, they had an alive-feeling, so I put them carefully back in the water. I can only imagine what kind of bad luck comes from bringing home a dying starfish. It sounds like the end of all hopes and dreams. ANYWAY. Speaking of luck, good and bad, and dying, and whatnot, I have a tiny story up at the Curiosity Cabinet about a boy having a quite strange and rather sad birthday. Hint: it gets creepy. All beaches look alike--maybe they are all the same place in some ways--and yet this was my beach so look, look. 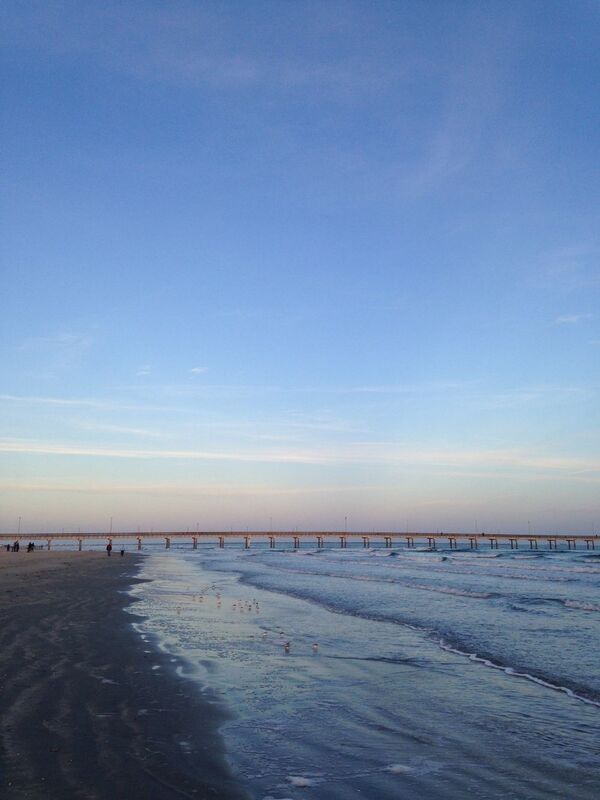 The pier at Port Aransas just before sunset. Port Aransas at sunset, from the pier. The Gulf looking so much prettier than its usual Mississippi-mud-murkied self.